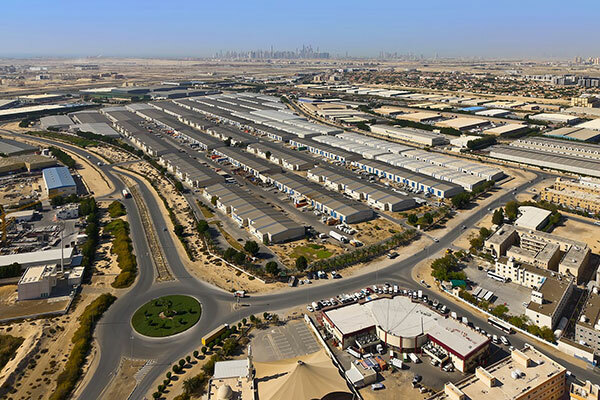 ubai Investments Park (DIP), the wholly owned subsidiary of Dubai Investments PJSC, said that total built-up warehouse, office and commercial unit space sub-leased at Dubai Investments Park passed the 5 million sq ft mark in 2018. Among the tenants are Kingspan Insulation, the sustainable building solutions provider behind major Middle East projects, including the Louvre Abu Dhabi, Atlantis The Palm and the King Abdulaziz Centre for World Culture in Saudi Arabia, invested in a 538,000 sq ft plot opposite their current operations in DIP 2 in 2018, to create a larger manufacturing facility to serve the Middle East construction market, reported Emirates news agency Wam. Their current facility measures over 86,000 sq ft and offers a 75 million sq ft production capacity for manufacturing insulation board. Clima Uno, the air conditioning firm, now operates from a purpose-built facility which spans over 100,000 sq ft and manufactures air handling units, fan coil units, energy recovery ventilators and ecology units of European grade for local and regional HVAC contractors. Regarding the increased number of leases, Omar Al Mesmar, general manager of DIP, said, "Over the past 19 years, DIP has played a pivotal role in attracting companies and industries from across the region and the globe, helping Dubai become the preferred destination for both investors and end-users. The volume of leases in 2018 was highly encouraging and evidence of DIP’s consolidated growth plans." The ‘City within a City’ also expanded its residential offering in 2018, with Lootah Real Estate Development holding a groundbreaking ceremony for The Edge, a residential offering of 103 units on the Ewan Residences development. DIP is a thriving community, with over 12,000 residential units and 90,000 residents, as well as six schools and five operational hotels. DIP is a sought-after business destination, with over 20 million sq ft of office space, 18 showrooms and a large space for staff accommodations. DIP offers a wide array of warehousing, storage, and commercial facilities for small, medium, and large-sized enterprises.